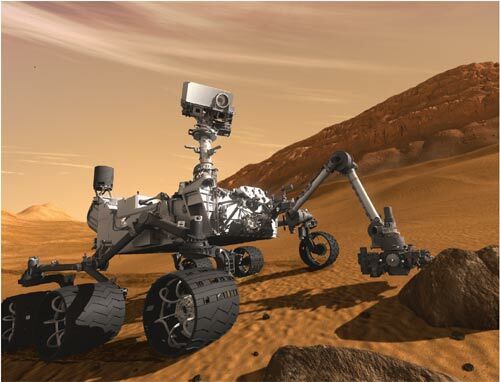 The Mars Science Laboratory, Curiosity, lands today – hopefully (5:31 pm NZ time). But when will we know if the landing has been successful? 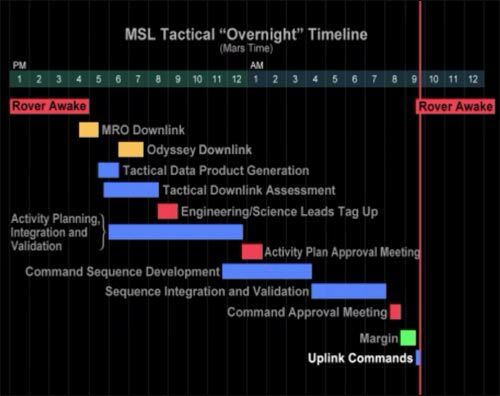 Communication between Mars and Earth is hardly simple. It’s not just the time delays involved (currently about 15 min). There’s also rotation of both planets. So communication with Curiosity (if it lands successfully) will involve three satellites in orbit around Mars – the Odyssey Orbiter, the Reconnaissance Orbiter and ESA’s Mars Express. 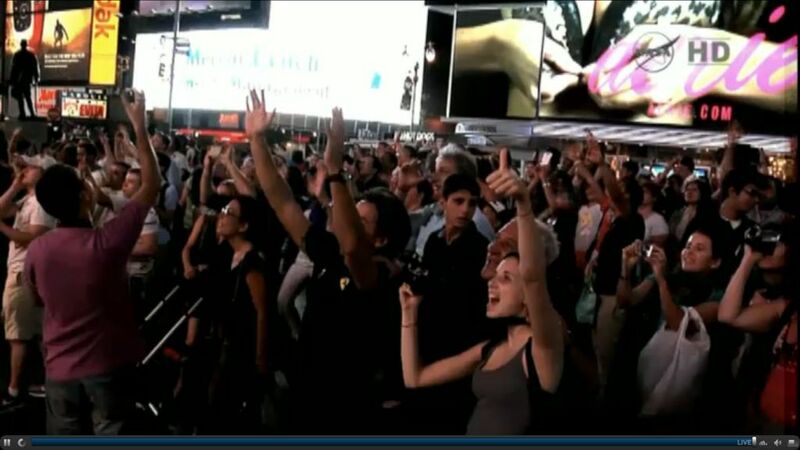 (Watch this video to see the alignment of Curiosity, Odyssey and Reconnaiscance during landing). Messages, and particularly data, may need to be stored on board Curiosity or the satellites before transmission to earth. 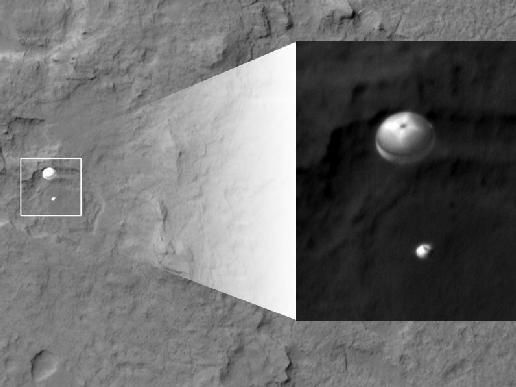 So we may not even have confirmation of Curiosity’s safe landing for several hours – maybe even several days. This video describes the problems and how they are overcome. 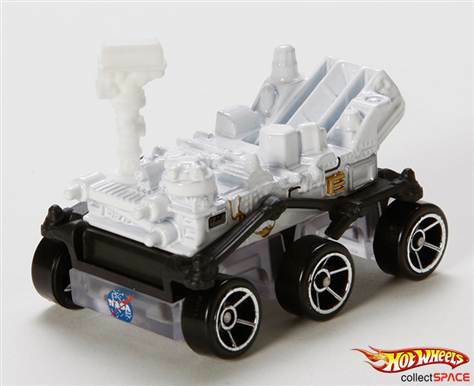 Thanks to Universe Today: When Will We Hear From Curiosity? 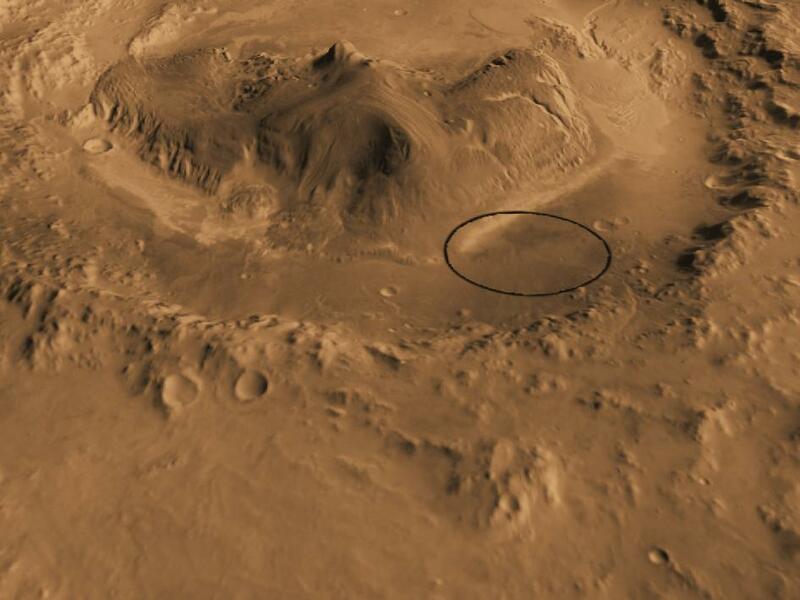 Here’s a computer-generated view of Mars’ Gale crater as if seen from an aircraft north of the crater. Because of its history, 96-mile wide Gale Crater crater landing site is an ideal region for exploration of the planets history. For further information go to Image of the Day –NASA’s Gale Crater Mars Landing Site for Tomorrow’s ‘Search-for-Life’ Mission. There have been some great photographs online showing the last flight of the Shuttle Discovery atop a modified Boeing 747 Shuttle Carrier Aircraft. Headed to its resting place as an exhibit at the Smithsonian’s National Air and Space Museum Udvar-Hazy Center. 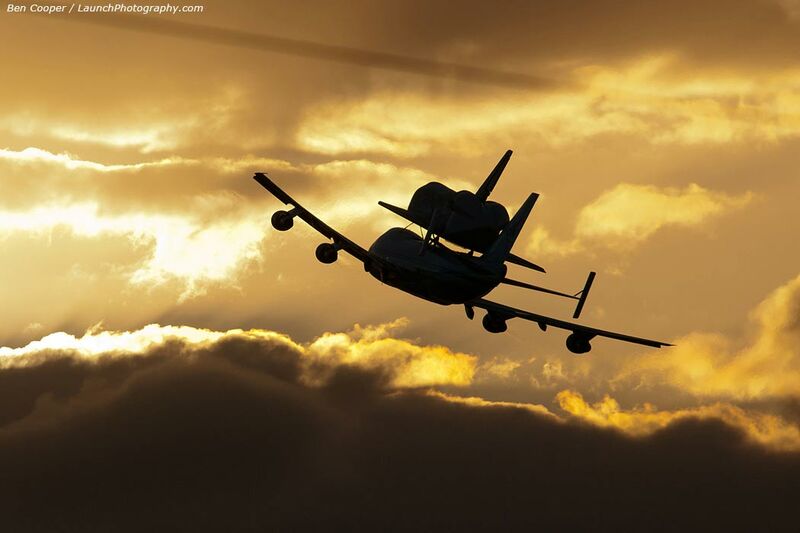 Thanks to Astronomy Picture of the day (2012 April 19 – Discovery Departs). But a great one, when you realise who took it and from where. 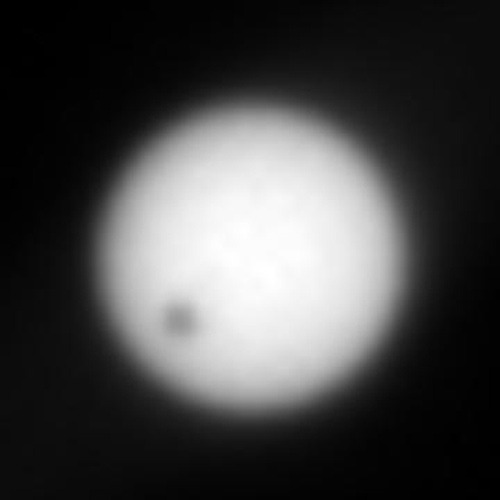 It’s actually a shot of the transit of Mars’s moon Deimos, (the smallest and outermost one) across the face of the sun. 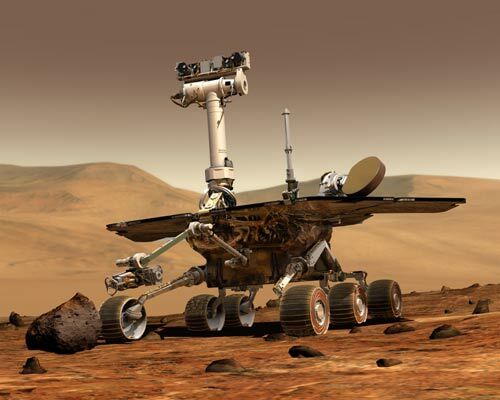 Photographed from the surface of Mars by the rover, Opportunity, on March 4, 2004. 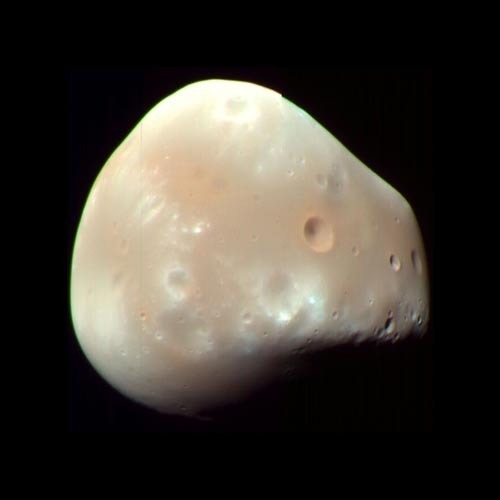 Deimos - photographed by he Mars Reconnaissance Orbiter. Deimos is only about 12.4 km in diameter – pretty small. So it’s an amazing photo – especially when you realise that the rovers weren’t actually designed for this sort of thing. 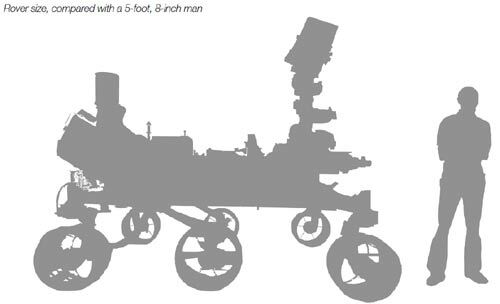 And here’s an artist reconstruction of the rover Opportunity on Mars. 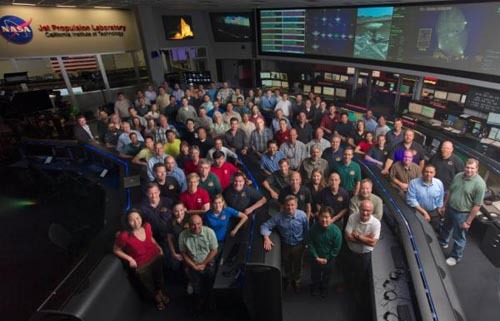 Thanks to An Astronomical Photo-Op – Brad BlogSpeed. The immensity of the galaxy almost seems beyond human comprehension. But this image does start to bring it home to me. 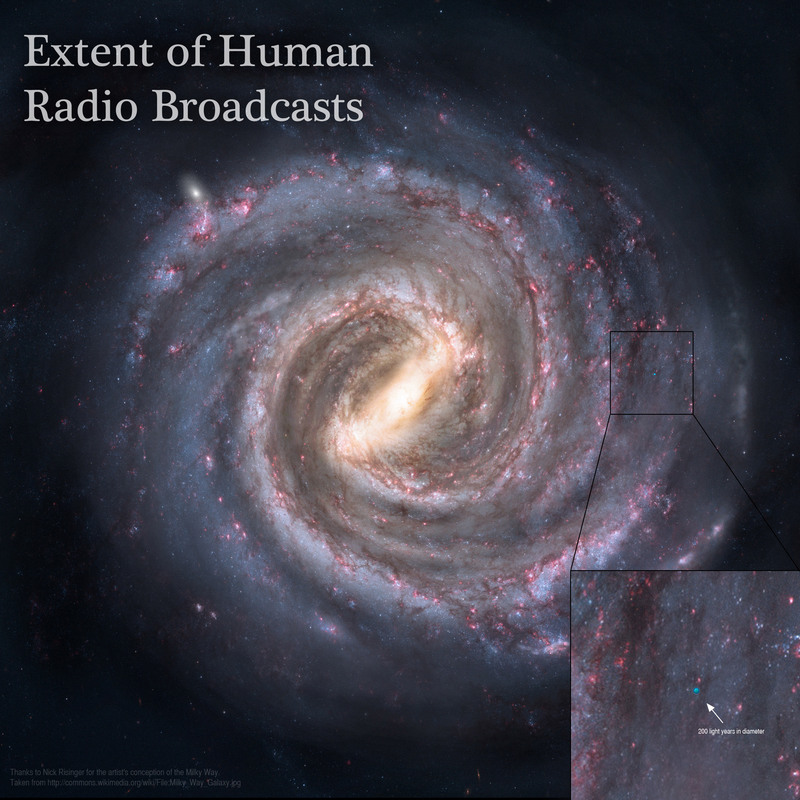 It shows the extent of penetration of human radio signals into our galaxy since we have had radio. It’s that small blue dot, 200 light years in diameter, you can see in the enlarged section. And our galaxy is only an extremely small and irrelevant part of the universe.